The UK is home to some of the richest and diverse coastlines in the world and I was thrilled to be commissioned by Haven Holidays to complete four creative still life setups for a series of fragrances, based around four of their coastal holiday resorts in the UK. 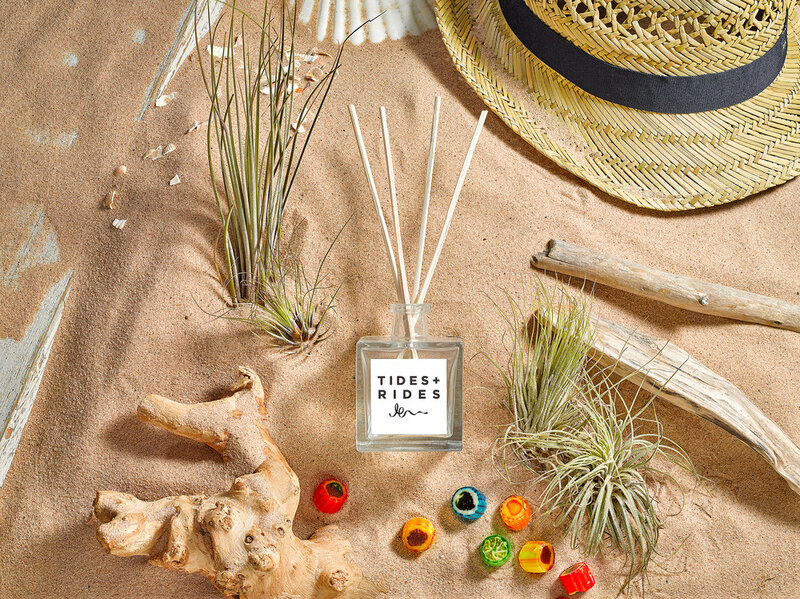 Each fragrances or room diffusor is based on a different Haven resort, located next to a beach or iconic coastline in Norfolk, Cornwall, Wales and Scotland. Each set was created incorporating inspiration from each of these regions making each set both complementary and unique. Each image was created with creatively placed props and a similar lighting for continuity. 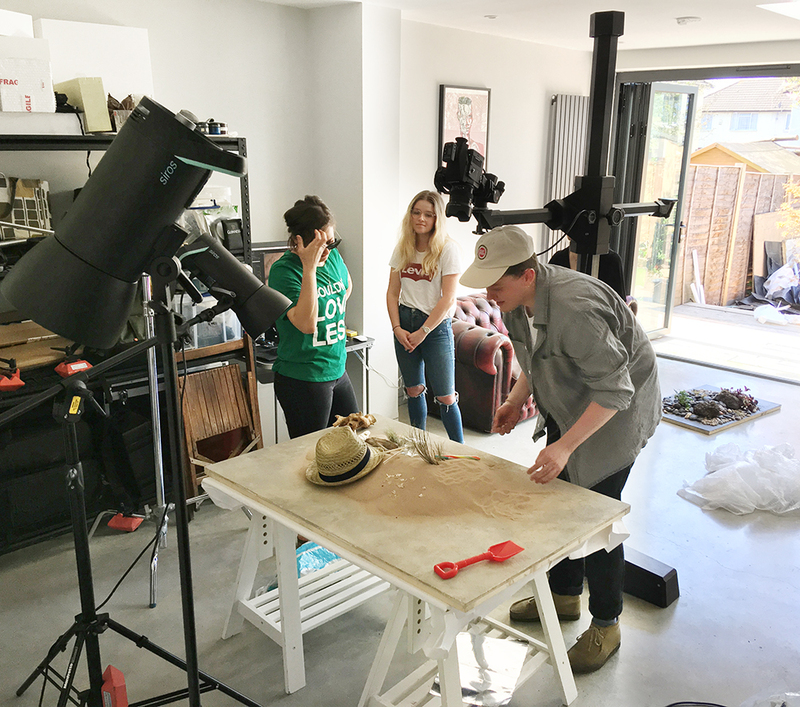 The image on the right show us collaborating; setting up the scenes for the perfect shot. Jewellery photography for Rock & Raw feature in this week photoblog. I was asked to provide a set of creative still life and model photography. Below are a few examples of the creative still life photography, next week i will showcase some of the model and product packshots. 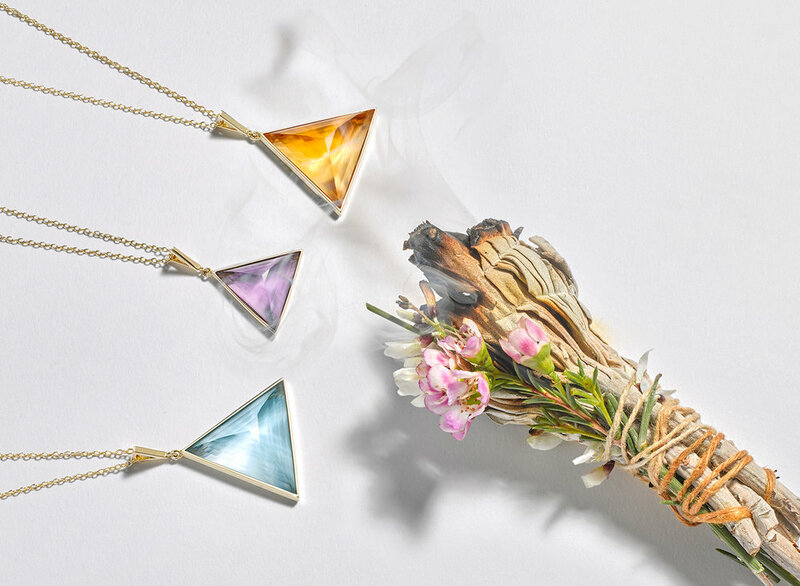 Additional lifestyle shots with the jewellery positioned on a whole citrine crystal on the right, positioned on hands above and below the still life shot is created with the spiritual cleansing smoke created from a sage smudge stick. 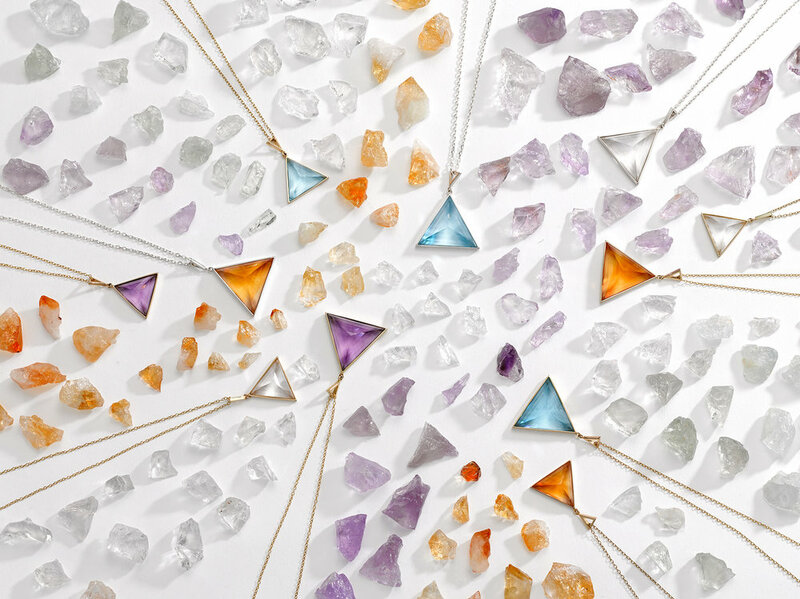 The crystal pendents are surrounded by carefully positioned raw rock crystals including clear quartz, citrine, amethyst and topaz. 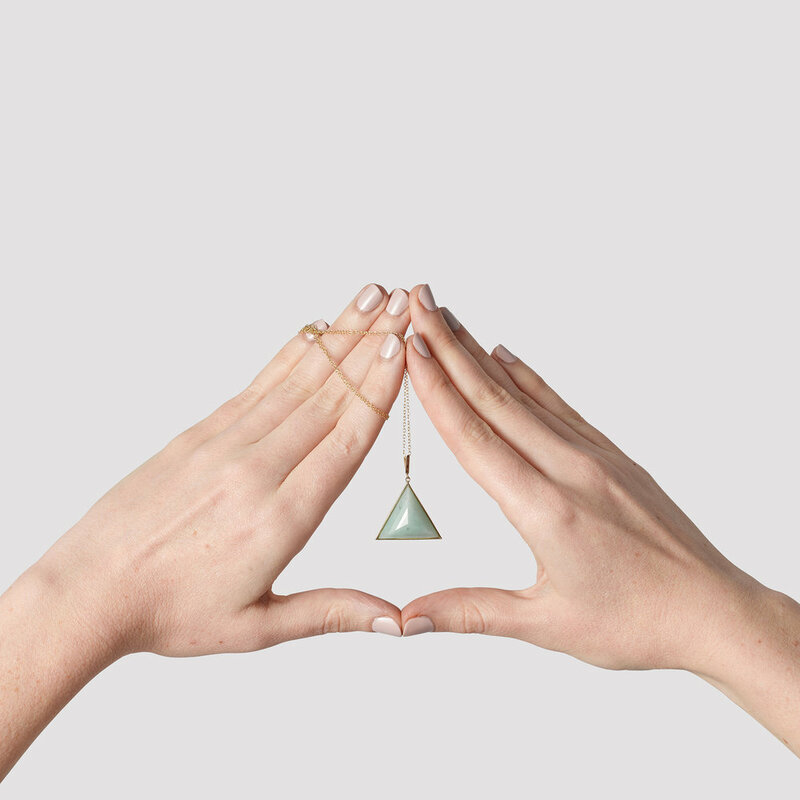 Strong directional light creates bold shadows and depth to the colourful jewellery collection. 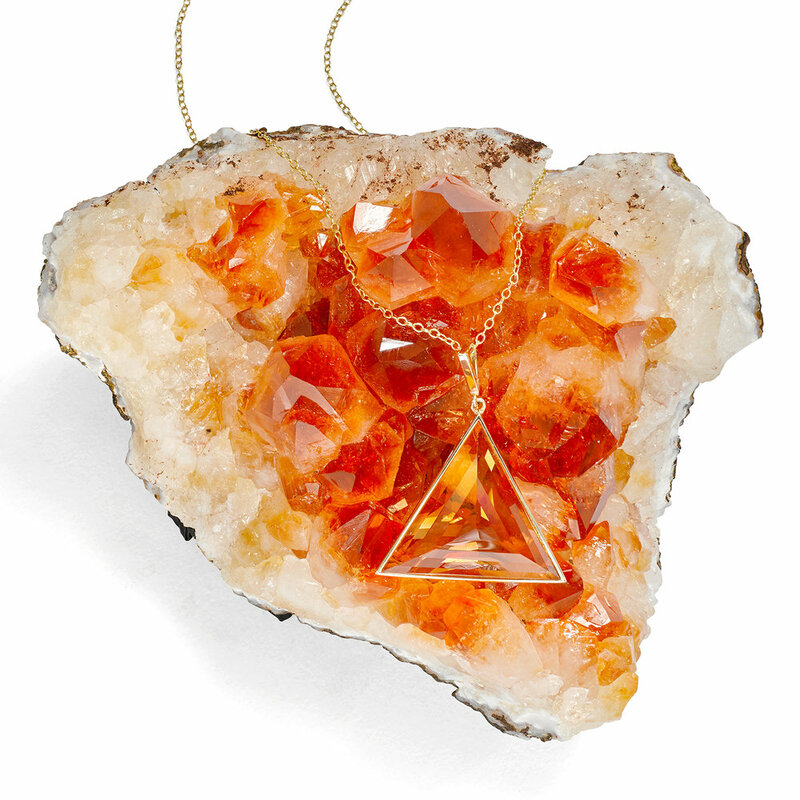 "Our pieces enshrine the individual powers of crystals and we weave ritual and ceremony into everything we do. All our pieces are created with the intention of bringing healing and transformation and our work is guided by heart-centred meditation." The largest impact for any website redesign is the photography, if your looking to revamp, restyle or refresh your brand then get in contact and lets create some great content together. With the shift in consumer attitudes leaning more towards natural and organic products, this is an exciting time to be creatively involved with new ethically-focused startups such as cosmetics brand, TOSé Apothecary. Based in London, TOSé are helping people rediscover beauty by using chemical free products. Below are some of examples of the creative still life photography I provided for the brand.